Judy Willis is a leading thinker on how to apply new brain research to better promote children's learning. Below is part 3 of an interview with Dr. Willis. Check out her video on Edutopia, which we aired at the How Kids Learn conference. Q: There are those who say that when young people are participating in collaborative learning groups, they are less engaged in real learning. How would you respond to this? 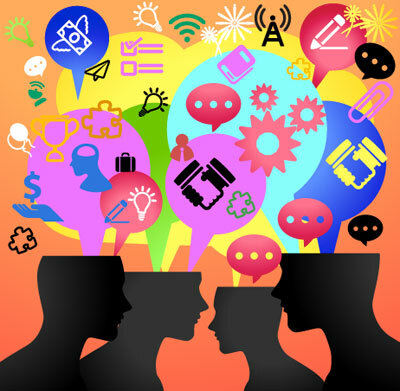 A: Collaborative group activities, unlike whole class discussions or independent work, provide the most opportunities for youth to express their ideas, questions, conclusions, and associations verbally. Jeanne Gibbs, in her book Tribes reported that in traditionally structured classes each student has about 5-10 minutes of individual time to engage in classroom academic discourse. In group work that amount of time increases dramatically. She found that youth experienced a greater level of understanding of concepts and ideas when they talked, explained, and argued about them with their group, instead of just passively listening to a lecture or reading a text. This is again supported by the accelerated metabolic brain activity during active constructive thinking, such as planning, gathering data, analyzing, inferring, and strategizing versus passive information acquisition. When the verbal center becomes engaged while information or a task is being learned, more neural activity travels between the left and right brain. Thus when a student describes his/her thinking verbally to the group or works on a group chart, diagram, or project, the new information becomes embedded in multiple brain sites, such as the auditory and visual memory storage areas. Now, with neuroimaging, we know that this multicentered brain communication circuitry enhances comprehension, making new material be more accessible for future use, because it is stored in redundant brain areas. Q: Can you give concrete examples of how this might look in a classroom setting? A: In mathematical collaboration youth learn to test one another’s conjectures and identify valid or invalid solutions. Group members are all engaged as they discover techniques to test one member’s strategy. If it doesn’t work on repeated tries, they invalidate that strategy and try another. Youth who just “don’t get it” via a group leader’s didactic lecture benefit from the different perspective classmates with similar knowledge banks have on the subject. In literature and social studies youth have a small, safer place to try out ideas they might not express to the entire class. They learn that there is validity to personal interpretation and they can experiment with critical thinking in a structured small group setting, with scaffolding provided as needed via group leader prompts about what to discuss and how to run the discussion. This process empowers these youth to become more active in not only whole class discussions, but in their homework, and in speaking their opinion outside of the classroom. This is especially critical during adolescence when “fitting in” is such a strong need, that individuality can become stifled. Q: One of the LIAS learning principles says that learning should be active and utilize all of the senses. Do you agree with this? A: Yes, as the neuroimaging evidence has shown, the more a student is engaged in a learning activity, especially one with multiple sensory modalities, the more parts of his/her brain are actively stimulated. When this occurs in a positive emotional setting, without stress and anxiety, the result is greater long-term, relational, and retrievable learning. Q: You have talked about cooperative work groups as needing to be well planned. Can you be more specific about what you mean? A: To qualify as cooperative work, rather than individuals working in parallel in a group, youth should need each other to complete the task. Youth are expected to participate in tasks that are clearly constructed and necessary for the group’s success. The group leader should remain active as a circulating resource and when necessary, an arbitrator, but youth should be capable of carrying out their tasks without constant, direct intrusion by the group leader. Youth and not the group leader are responsible for accomplishing their tasks in the way they think best, with accountability to each other and to the group leader’s standards. Ideally there is a clear rubric for individual and group assessment and the youth and the group leader take part in the assessment process. Q: Can you offer us some specific guidelines to follow when developing collaborative working groups? All members have opportunities and capabilities, frontloaded if necessary, such that different youth can make their own special contributions. This may require planning ways for youth with different learning/intelligence styles to make special contributions to the group task. Youth learn to respect each other as group members. Often this requires group leader demonstration with role-playing. The group negotiates roles with guidance from the group leader. Designated roles can include recorder, participation monitor (someone who keeps track of who is participating such that if one member has already given three suggestions and others have not had a chance, the overly active participant is asked to give others time to present their views), creative director (if a physical product such as a poster or computer presentation is part of the project), materials director (as might be needed for science or art projects). There should be more than one answer or more than one way to solve the problem or create the project. The activity should be intrinsically interesting, challenging, and rewarding. 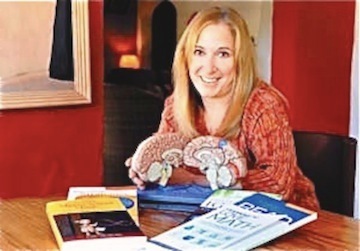 Dr. Judy Willis, a board-certified neurologist in Santa Barbara, California, has combined her 15 years as a practicing adult and child neurologist with her teacher education training and years of classroom experience. After five years teaching at Santa Barbara Middle School, and ten years of classroom teaching all together, this year Dr. Willis reluctantly left teaching middle school students and dedicated herself full-time to teaching educators. With an adjunct faculty position at the University of California, Santa Barbara graduate school of education, Dr. Willis travels nationally and internationally giving presentations, workshops, and consulting while continuing to write books for parents and educators.